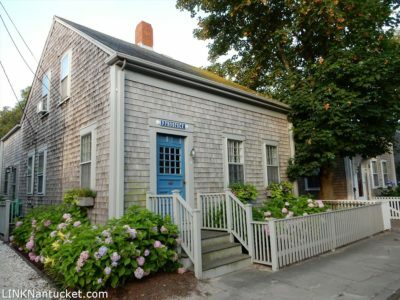 A charming historic home completely renovated in 2013, 9 Prospect Street was documented as a fine example of early Nantucket architecture in Clay Lancaster’s ‘The Architecture of Nantucket’. Located on the edge of the historic district and a short walk to Main Street and downtown. The home includes details such as Carrera Marble tiles and counter tops and hardwood floors throughout. It has an excellent rental history, with over $77,000 in gross rentals for 2016. The sellers have targeted a property to purchase. If the target property becomes unavailable prior to the sale of 9 Prospect Street, they reserve the right to remove their property from the market and/or contract.